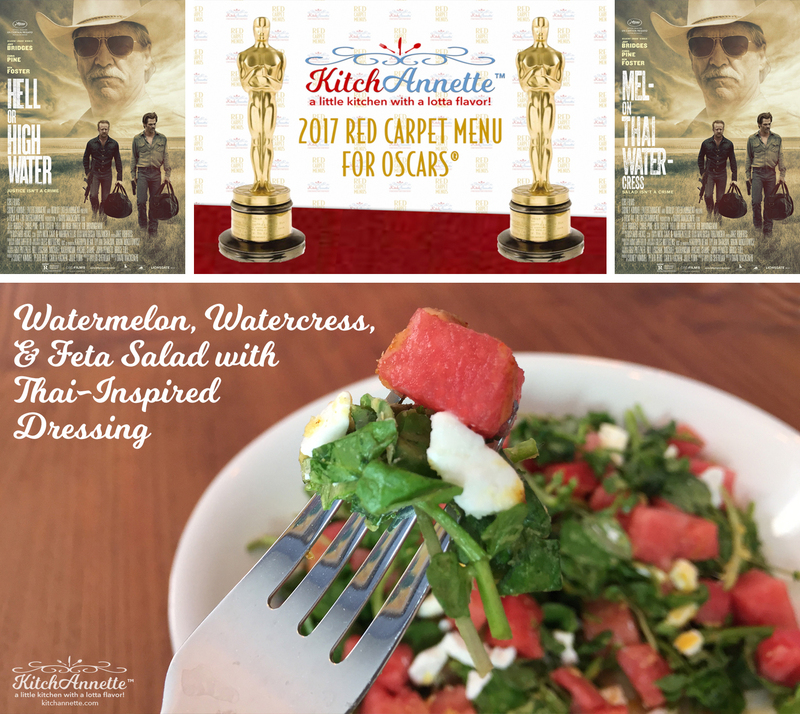 The salad for the 2017 Red Carpet Menu for Oscar® is here! Hell or High Water isn’t a movie that would normally catch my attention. A “western” vibe is not my go-to. However, the story unfolds so beautifully and the characters are so well-defined and intriguing. Loved it!!! 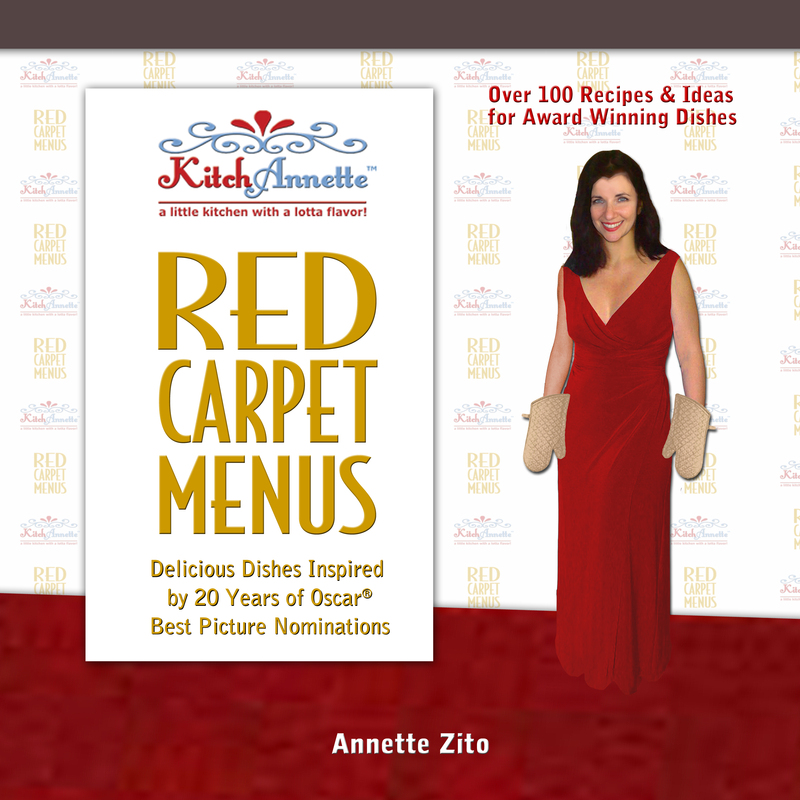 Creating a dish for this movie was difficult – it’s another of my famous “stretches”. The bad guys aren’t necessarily bad, the good guys have some “not so good” qualities, and it’s all set in a stark & arid landscape. 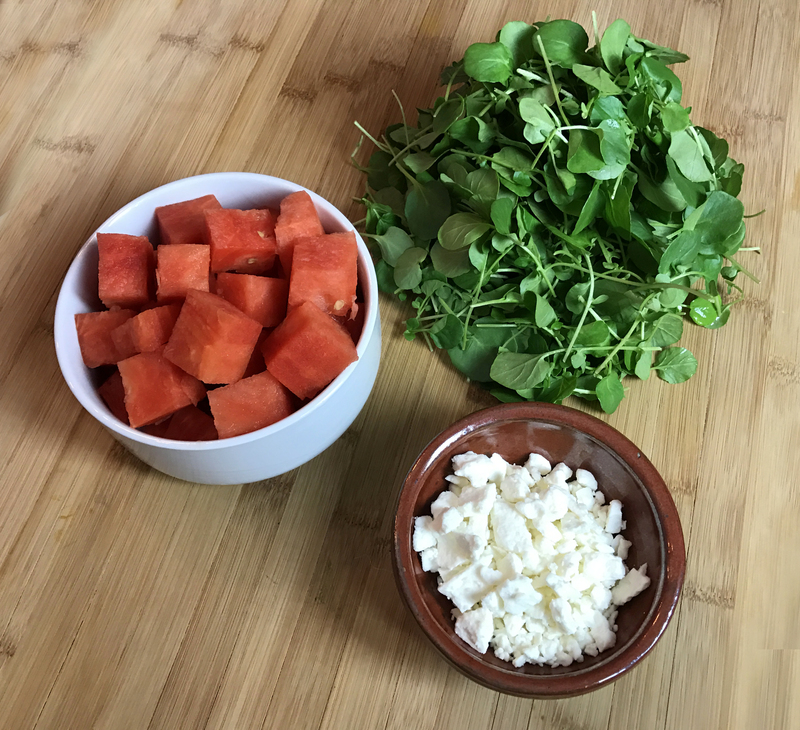 Employing this year’s flavor explosion of unexpected combos, this salad highlights sweet melon, peppery watercress, and salty feta finished with a sweet and spice dressing that will quench your desire for salads that are far from boring and lifeless. 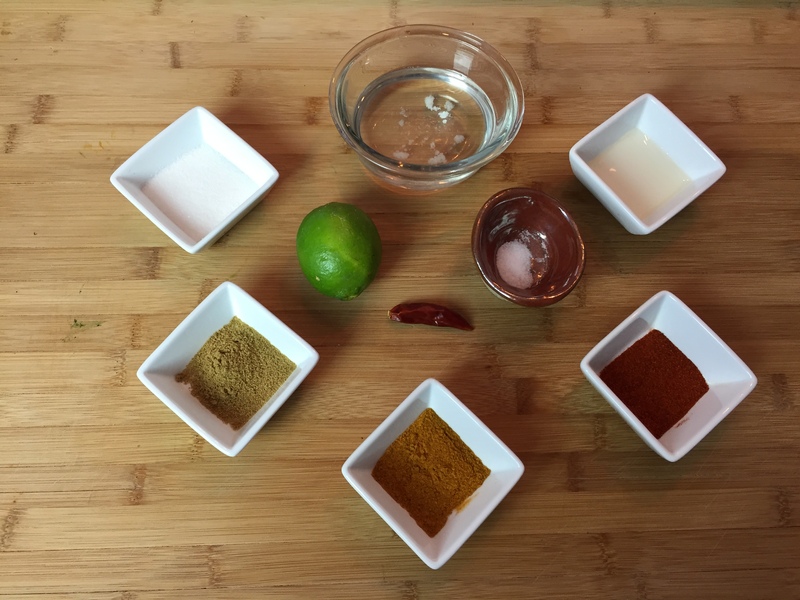 1) Whisk oil, lime juice, vinegar, sugar, salt, cayenne pepper, curry powder, cumin, and chili. Set aside. 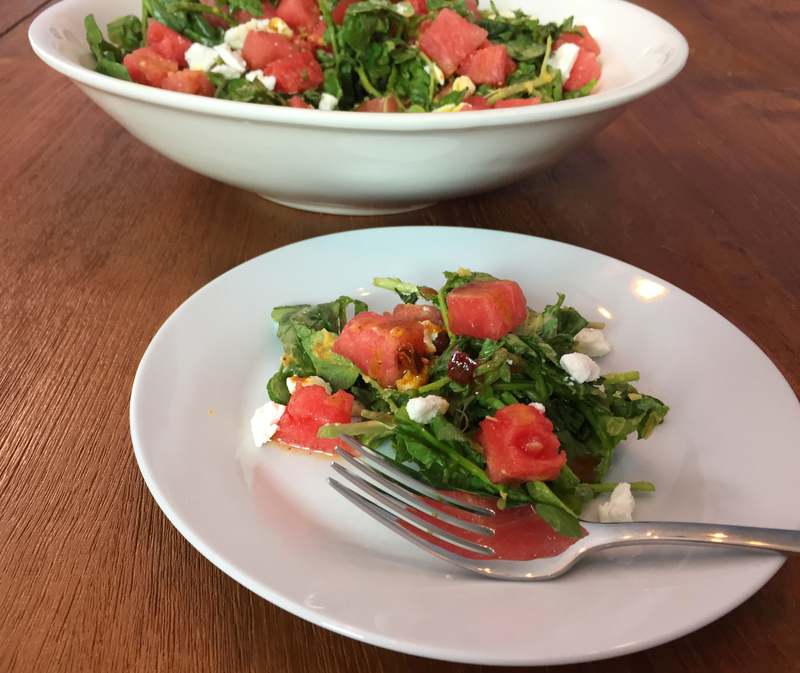 2) Combine watercress, watermelon, and feta in a large bowl. Pour dressing over salad. Toss gently and serve. I had no idea how FABULOUS this dressing was going to turn out when I was experimenting with ingredients. 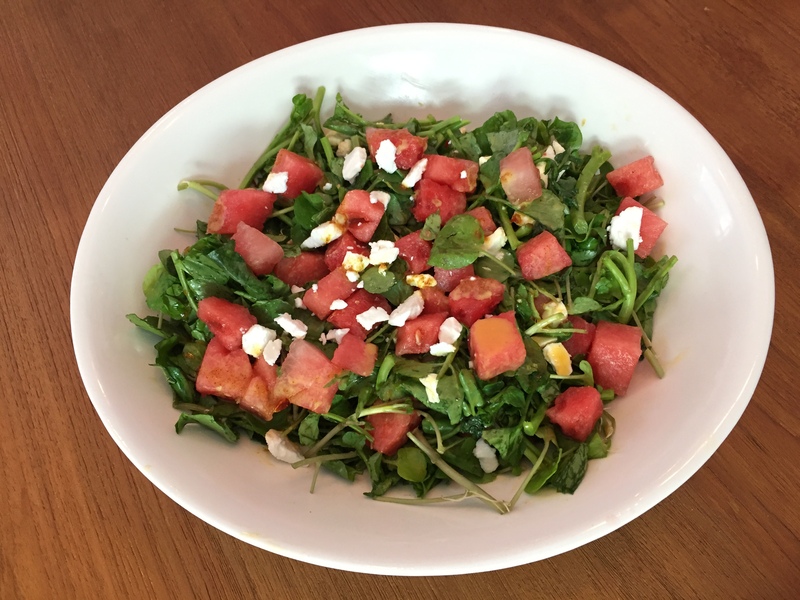 It works perfectly with the feta, melon, and watercress! I couldn’t wait to finish filming so I could gobble up this “Melon Thai Watercress” salad! I’ve made it twice already and can’t wait to serve it on Oscar® night!